90년대, 과학 상식을 뛰어넘은 놀라운 장난감들로 어린이들을 가슴 뛰게 한 ‘장난감 자판기’사의 장난감들. 자사의 모든 상품을 자판기로만 판매하는 두근두근한 판매전략이 아이들에게 대 히트! 시대를 풍미한다. 그러나 장난감의 너무 뛰어난 기능으로 인해 전국 각지에서 부작용이 속출. 모든 장난감이 판매금지 처분을 당하고 장난감 자판기사는 도산한다. 전국 4만 8천 대의 장난감 자판기가 전부 수거되었으나, 청송군 사과밭 시골길에 단 한 대가 남아있다는 정보를 25년 만에 입수했다. 구조해온 자판기의 내부는 텅 비어 있었지만, 장난감 자판기 애호 협회의 도움을 받아 디지털 복원에 성공. 해당 자판기를 공개한다. In the ’90s, we went beyond scientific common sense with amazing toys. Toys from the ‘Toy Vending Machine’ that made children jump. 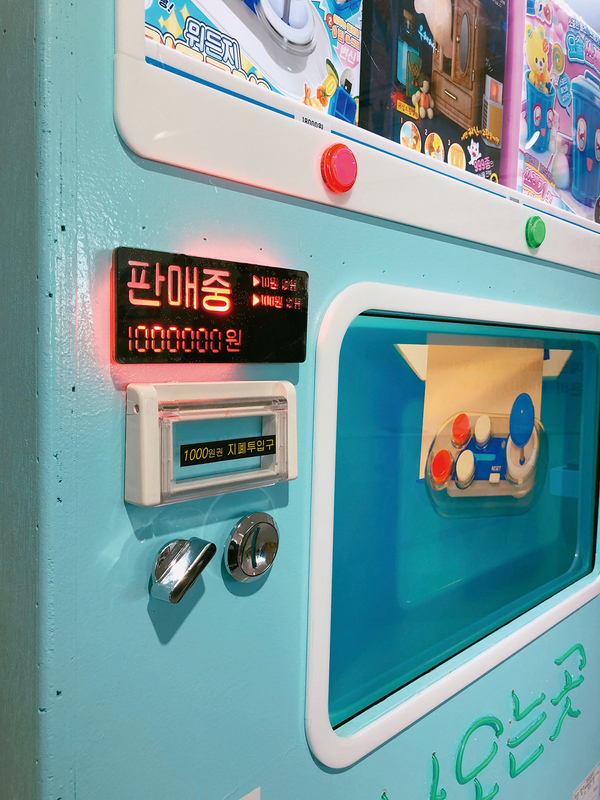 A strategy of selling all of its products only by vending machines is a big hit for children! Appreciate the times, However, due to the great function of toys, there are many side effects from all over the country. All toys are banned from selling and toy vending machines go out of business. 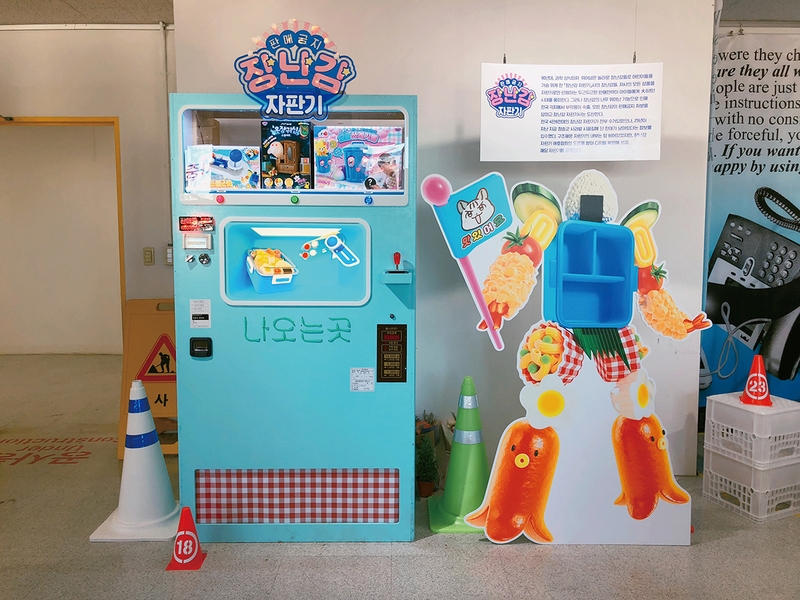 All 48,000 toy vending machines were collected across the country, but after 25 years, we received information that only one remains on the country road in the apple fields of Cheongsong County. 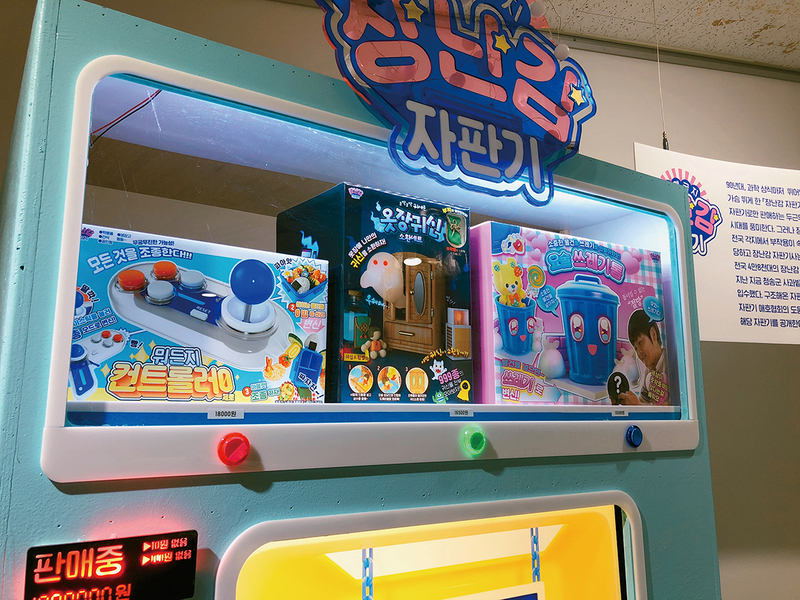 The inside of the machine was completely empty, but with the help of a toy vending machine lover association, the machine was successfully restored. The machine was unveiled.